Loyalty programs are structured rewards or marketing programs used by retail businesses to encourage shoppers to continue buying. The best programs are digital and automated solutions with engagement features that are easy to use. We compared top-rated programs focusing on price, ease of use, and features to determine the best overall loyalty software for small businesses. Social Spiral (Overall Best) Businesses that want an easy-to-use, SMS-based customer loyalty program. CandyBar Storefronts wanting an affordable digital punch card customer loyalty program. Loopy Loyalty Storefronts that want to utilize mobile wallet and beacon technology. Perkville Membership-based businesses in the health and fitness category. LoyaltyLion Ecommerce businesses that want customizable rewards programs built for online retailers. SpotOn Brick-and-mortar retailers that want to increase new foot traffic. Traditionally, retailers used low-cost paper punch cards or word of mouth referrals as a customer loyalty program. To make the switch to a software program, businesses need a solution that is cost-effective, easy to use, time-saving, and most importantly, boosts business through repeat sales, new customer referrals, or overall spending. Customer loyalty programs also need to be transparent for customers and easy for employees to navigate. Price – We looked at how much each program costs per month and if there are any up-front fees. Ease of Use/Setup – We looked at how easy the program is to set up and how easy it is for employees to navigate and for customers to use. Hosting – We looked at where the loyalty program is hosted: in an app, integrated into your point-of-sale system, on a third-party site, etc. POS Integrations – We looked at whether each loyalty program works with point-of-sale systems or if it would operate as a separate standalone program. Customer Enrollment – We looked at how easy it is for customers to sign up for each type of program. Reward Systems – We looked at the ways each program allows customers to earn points: through purchases, store visits, referrals, etc., and how businesses can customize the earning process. Point Redemption – We looked at how each program lets customers redeem points, and what kind of rewards the program lets businesses offer. Consumer Access – We looked at whether each program has a customer-facing platform that lets shoppers view their points and manage their accounts. Customer Notifications – We looked at whether each program has a feature to notify shoppers of rewards via push notifications, email, or SMS text messaging. Reporting – We looked at what kind of data or customer insights each program provides about loyalty program usage and profitability. Social Spiral is our pick for the best loyalty program software for retailers because customers sign up for and use the loyalty program through text messaging, which is the preferred communication method for many shoppers. Social Spiral is easy to set up and sends customers automated reminders that make it easy to use rewards. Social Spiral is not an all-encompassing program, but it is a powerful marketing and engagement tool for small businesses. 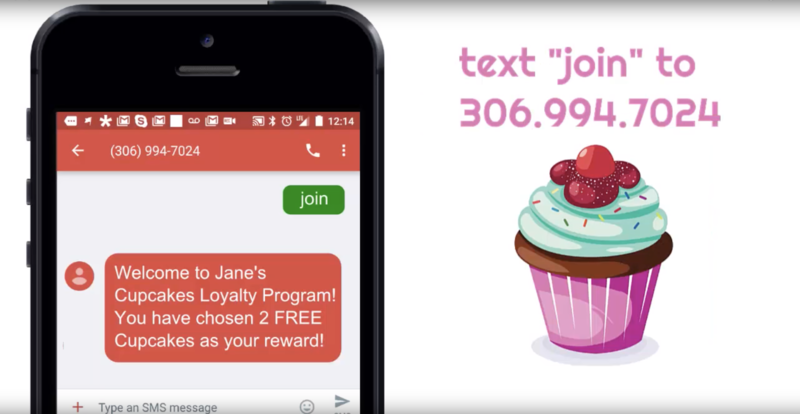 Social Spiral is a unique customer loyalty program because it operates over SMS text messaging. Social Spiral is priced individually, so we’re not sure how it stacks up against some of the competitors. However, its time-saving customer engagement automations, paired with the easy-to-use SMS text messaging format, make Social Spiral our top choice for loyalty program software. Social Spiral is priced on an individual quote basis. We estimate that there is a range of pricing options, but no concrete information is publicly available. Contact Social Spiral directly to setup a demo and request specific pricing information. Social Spiral includes customizable rewards programs, promotions, coupons, and reminders that are sent out as SMS text messages to customers. Customers also join the rewards program by texting and can inquire about their points or rewards status through text, both of which are unique features. Businesses manage rewards programs, customer accounts, campaigns, automation triggers, and more through a sleek and intuitive dashboard. Businesses create custom rewards programs through the business dashboard by setting how customers earn points and what they can be redeemed for. To join the rewards program, customers just text “join” to your dedicated phone number. Points and rewards can be redeemed in-store at checkout. Social Spiral is uniquely easy to use because customers don’t have to download an app or create an account to join. Customers can check their points or reward status at any time by texting “points” to the dedicated number. Businesses can engage customers through mass text messages about events and sales, as well as through personalized automated text messages like birthday coupons. Businesses can also send customers invites to leave reviews on Google or Facebook. Social Spiral includes analytics for businesses, including campaign and keyword tracking so that businesses can see how their customers are joining the rewards program and engaging with your business. Social Spiral also provides each business with a dedicated support agent who can help analyze your loyalty program and offer suggestions for improvement. Example of how customers join a Social Spiral loyalty program. Social Spiral is great for engaging customers over text messaging. However, it does not integrate with email marketing software, meaning SMS text campaigns and automated triggers that are performed in Social Spiral can’t be coordinated with email messages. Social Spiral is best with brick-and-mortar retail businesses, so if you have an online business, LoyaltyLion may be a better fit. For membership-based businesses, look into Perkville. Online reviews for Social Spiral are very positive. Business owners like that it is easy to use and offers a lot of customer engagement features. Reviews also mention that Social Spiral is a good value and costs less than other software solutions that offer similar features. Social Spiral is a robust loyalty program software that offers plenty of customer engagement features and is easy to use for both businesses and end customers. Customers don’t have to go through the hassle of downloading an app or creating an account. Plus, Social Spiral is the only program that uses SMS text messaging as the primary form of communication, which has the highest engagement rates. Visit Social Spiral to book a free demo. CandyBar is a browser-based loyalty program that helps brick-and-mortar store owners create rewards programs to track and incentivize repeat customers. CandyBar offers punch-card style rewards programs, where customers earn a stamp with each visit. CandyBar is a simple, yet effective solution for brick-and-mortar businesses that want to reward repeat customers. CandyBar is competitively priced $45/month after a 30-day free trial, which includes unlimited customers, loyalty cards, and stamps. CandyBar can be used on any web browser on any device, so no additional hardware is required. CandyBar loyalty cards are digital, so no paper or plastic cards are required either. CandyBar offers a very streamlined, simple solution that takes the concept of a physical loyalty punch card and digitizes it so that customers can’t lose it. Businesses benefit from collecting customer data such as when shoppers sign up, when they use the program, and who become regulars. In addition to the punch card, CandyBar includes two-way messaging with customers and an analytics dashboard. With CandyBar, customers earn one punch on their loyalty card per visit. Businesses set how many punches are required to earn a reward and what those rewards are. Businesses can choose different rewards for different stamp milestones, but there is no ability to offer rewards by dollar amount. Businesses have the web app open on a tablet, phone, or computer at the register to easily look up a customer by phone number to stamp or redeem rewards. CandyBar lets businesses message customers directly via the business dashboard to collect feedback or address concerns. However, unlike Social Spiral, customers cannot access their points or rewards on their own. Businesses enroll customers in the loyalty program when they are in-store at the register. CandyBar has a business dashboard that provides insight on loyalty program enrollment, the store’s busiest days and times, and how frequently loyalty members are visiting your business. Example of Employee Using CandyBar at the Checkout Register. CandyBar is a great solution for businesses looking for a simple, affordable punch card-style customer loyalty program. However, CandyBar only offers loyalty programs based on store visits, not on overall spend. CandyBar also does not offer any automation or customer self-serve feature like Social Spiral does. CandyBar is web-based and does not integrate with POS systems like Perkville does. Reviews for CandyBar are very positive. Businesses like that it is a simple solution that is easy to manage and to reward repeat customers. Employees have no problems navigating the system. At $45/month, CandyBar is also within budget for most small businesses. Visit our CandyBar Review Page to read more. CandyBar takes the concept of the loyalty punch card online for easier access, tracking, and insights. CandyBar is a great solution for brick-and-mortar businesses that want a straightforward customer loyalty program that is compatible with any system. Visit CandyBar’s website for a free, 30-day trial. 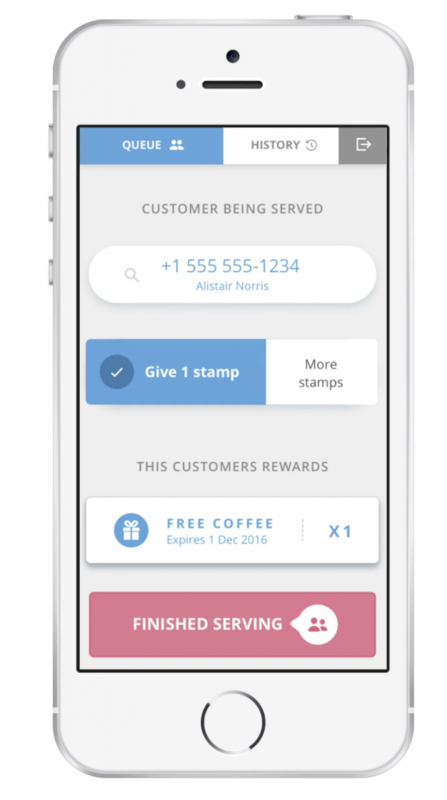 Loopy Loyalty is a loyalty software program that lets businesses create custom rewards programs with digital loyalty cards that customers store in their mobile wallet. 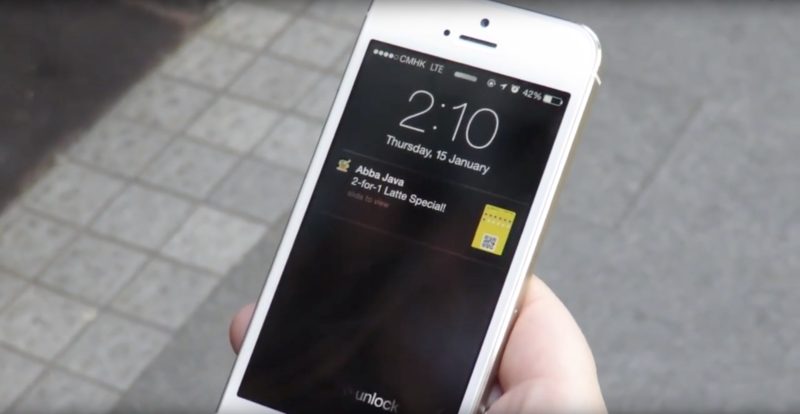 Loopy Loyalty cards are stored in Apple Wallet or Google Pay, meaning businesses using Loopy Loyalty can also send push notifications and location-based messaging. Loopy Loyalty is a good option for businesses that want a rewards program that utilizes mobile wallet technology. Loopy Loyalty is surprisingly affordable for small businesses, with plans ranging from $15 to $50/month. Loopy Loyalty includes location-based marketing with beacon technology, but beacon hardware is sold separately. Businesses can use any beacon hardware. Businesses will also need an iPhone or Android at checkout to scan customers’ mobile loyalty cards. Loopy Loyalty is similar to CandyBar in that it is a digital punch card. However, CandyBar is a website that only businesses have access to. With Loopy Loyalty, businesses have a website dashboard for viewing and managing accounts, and a separate mobile Stamper app for employees to scan customers’ loyalty cards. Customers store their own Loopy Loyalty reward cards in their mobile wallet. Loopy Loyalty utilizes mobile wallet technology. That means businesses can also send push notifications to customers’ smartphones and use location-based beacon marketing to appear on customers’ lock screens when they are near your store. The Starter plan is $15/month and includes one custom loyalty stamp card that shoppers keep in their Apple Pay or Google Pay mobile wallet, as well as a location beacon for businesses to send proximity-based push notifications to loyalty plan members. Businesses can customize their loyalty card by the number of stamps, what reward is offered, and brand their card with the business logo and color scheme. This plan is perfect for businesses that have a single storefront. At $15/month, this plan is well within budget for a small business and offers sophisticated beacon technology that is normally only utilized by national and chain retailers. The Growth plan is $39/month and includes two additional loyalty card designs, store locations, and beacons. 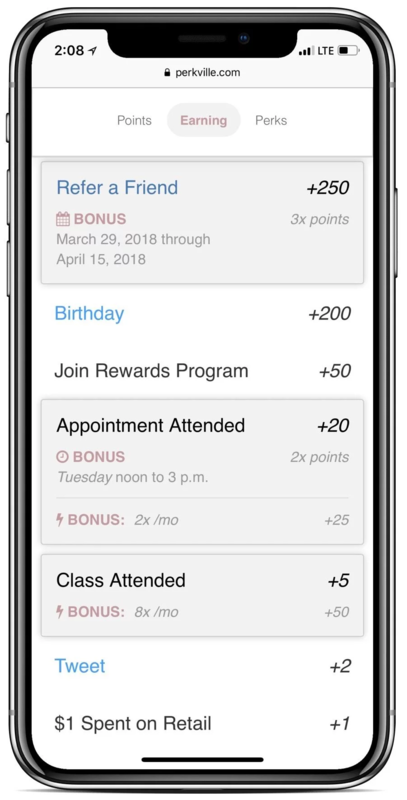 The Growth plan also includes 10 employee logins (called subusers on the Loopy Loyalty website) and the ability to customize the text and label fields on loyalty cards in addition to the color scheme. The Growth plan is a good option for businesses that have two or three locations, or a busy store that has multiple employees who will be using the program. With the employee logins, businesses can see which employee performed each action to prevent excess giveaways. The Ultimate plan contains the same features as Starter and Growth, plus extra card designs, store locations, Bluetooth beacons, and employee logins. Ultimate also has a feature called “Unique Customer Enrollments,” which prevents customers from accidentally enrolling in the loyalty program twice by checking their email and mobile number against existing records. Ultimate plan users can also export customer data as CSV files. The Ultimate plan is really only best for large businesses that have many storefronts and need 10 different loyalty cards or Bluetooth location beacons. The features that prevent duplicate customer rewards accounts and allow businesses to export data are valuable, but for smaller businesses, it is probably not worth paying for the Ultimate level plan just for those two features. Example of push notification sent to customers via Loopy Loyalty. Loopy Loyalty offers sophisticated mobile wallet technology at an affordable rate for small businesses. But the biggest issue with Loopy Loyalty is that customers need to have and use a mobile wallet to participate in the rewards program. So, by using Loopy Loyalty, businesses run the risk of disappointing customers who do not have smartphones or do not want to use that technology. Loopy Loyalty also does not integrate with any point-of-sale systems. Reviews for Loopy Loyalty are very positive. Business owners like that it is a sophisticated tool that provides lots of features and helps separate their business from competitors. Some reviewers state that they would like it if the program could integrate with their point-of-sale systems or have the ability to schedule push notifications in advance. Visit our Loopy Loyalty Review Page to read more feedback from business owners. Loopy Loyalty lets businesses design custom mobile wallet rewards cards, send push notifications, utilize beacon technology, and capture customer insights for a very low price and with little tech knowledge required. Loopy Loyalty is a great option for brick-and-mortar businesses that want to utilize sophisticated mobile wallet technology. Loopy Loyalty offers a free, 45-day trial. Visit their website to get started. Perkville is a rewards program popular with membership-based businesses such as fitness centers and spas because it integrates with industry-specific, point-of-sale systems such as MINDBODY and can reward customers for different types of actions, such as purchases, check-ins, or referrals. Perkville is a good option for membership-based businesses because it provides multiple ways for businesses to reward customers. Perkville pricing is not publically available, but we estimate that it starts at $99/month per location. Perkville is one of the more expensive customer loyalty programs on our list, and is also one of the only solutions that integrates with point-of-sale systems and allows businesses to reward customers based on multiple types of actions. One of the biggest advantages of using Perkville is that it integrates with many popular point-of-sale, membership, and CRM programs like MINDBODY, Vend, and Lightspeed so that your rewards and sales data are connected, eliminating the need for employees to manually scan or punch a rewards card. Perkville gives businesses more flexibility in designing a custom rewards program, and completely automates the process of customers earning and redeeming points. Perkville has features to reward customers with points for purchases, taking classes, visiting your store, completing surveys, referring friends, posting on social media, and more. Businesses can also create multiple reward offers with different point values. For customers, Perkville is harder to set up because they need to create an account (as opposed to sending a text with Social Spiral or entering in their phone number with CandyBar). Customers can access their loyalty account online to see how many points they have accumulated, what they can be redeemed for, and learn about other ways to earn points. Perkville also has extra engagement features like referral programs and social media sharing. With Perkville, businesses can also send customers points at will as a reward, or to encourage customers to come back. 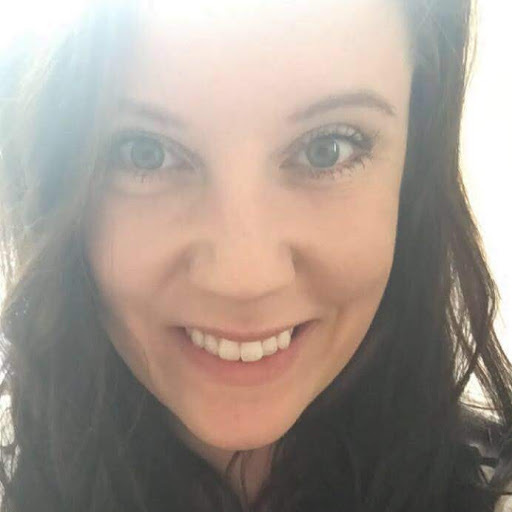 Perkville has reports that allow retailers to track point redemptions, referrals, view top point-earning customers, track social media advocates, and more. With Perkville, businesses can also set custom rules for when customers earn rewards to measure specific actions. Businesses can also create referral offers to track which customers are sending in new business. Example of what Perkville looks like for customers. Perkville is great for businesses that have customers sign up for an account, such as gyms, fitness studios, spas and salons, or yoga studios, because Perkville can track and reward non-purchase behaviors such as shares to social media, check-ins, and referrals. If you own a coffee shop, a punch-card style program like Candy Bar might be best. Online reviews for Perkville are very positive. Business owners like that the program is easy to use for both them and their customers. Businesses also like that Perkville provides a lot of different options for rewarding customers. Visit our Perkville Review Page to read more. Perkville is a great customer loyalty program software for membership-based businesses because it integrates with point-of-sale systems and allows businesses to create custom loyalty programs that reward customers for different types of actions. Visit the Perkville website to schedule a free demo. LoyaltyLion is a customer engagement and loyalty software specifically designed for ecommerce businesses. It lets online stores create custom rewards programs, increase customer retention with personalized emails, and gain new customers through referral programs, which is why LoyaltyLion is our top choice loyalty program software for ecommerce businesses. LoyaltyLion has tiered pricing with four different levels that all include a mobile and desktop loyalty program for ecommerce businesses with unlimited users. 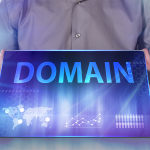 There is a free version, two mid-range tiers, and a solution for large businesses. 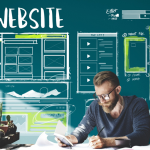 The free and Small Business options are a good value for small ecommerce businesses. The Free version of LoyaltyLion includes the ability to create a custom rewards program for unlimited members and up to 800 retail purchase orders per month. With the Free version, businesses have the ability to reward customers for creating their account, for purchases, and for visiting your site. Businesses determine their own point system. The Free version also includes real-time ROI analytics and customer engagement insights. Free LoyaltyLion is only for Shopify users, so this option is only a good fit if you use Shopify POS for your ecommerce store. The Free version of LoyaltyLion is a good option for Shopify users who want to try out LoyaltyLion before committing to a paid version that has more customization and rewards options. LoyaltyLion Small Business includes all of the features from the Free version, including a loyalty program for unlimited members and up to 800 monthly orders, plus the ability to reward customers for additional actions like signing up for newsletters or leaving product reviews. Small Business customers can also customize the appearance of the rewards program on their website and remove the LoyaltyLion branding. At $159/month, LoyaltyLion Small Business is a good option for businesses that do less than 800 orders per month but want more customization and engagement options than what is included in the Free version. LoyaltyLion Classic includes a loyalty program for unlimited users and up to 2,000 monthly orders. The Classic version includes everything in Free and Small Business, plus the extra 1,200 monthly orders. Classic LoyaltyLion also offers additional ecommerce analytics and additional customer support for businesses with an Onboarding Manager and quarterly advice calls. At $399/month, LoyaltyLion Classic can be a little pricey for small businesses, but is a good option for ecommerce companies that outgrow the Small Business tier by processing over 800 orders a month. With Classic LoyaltyLion, businesses can process more than double the amount of customer orders, up to 2,000. Advanced LoyaltyLion includes a loyalty program for unlimited users and up to 4,000 monthly orders. This version includes all of the features that come with the Free, Small Business, and Classic versions plus more customer support, with a priority email address and an Onboarding Slack channel. At $699/month, LoyaltyLion Advanced is meant for large businesses that process closer to 4,000 orders/month. $699 is beyond most small businesses’ budget. If you are looking for a LoyaltyLion plan with advanced features, opt for the Classic program if you process under 2,000 orders/month. The features are almost identical to Advanced for $300/month less. Loyalty Lion lets businesses customize how shoppers can earn rewards. Online reviews for LoyaltyLion are very positive. Business owners like that LoyaltyLion is easy to set up, and that it integrates with most major ecommerce point-of-sale systems. Overall, reviewers say that LoyaltyLion definitely helps with customer loyalty and ROI. The only negative comments are that the program can be expensive for small companies. LoyaltyLion is a good loyalty program solution for ecommerce businesses that want a customizable, web-based solution. Visit the LoyaltyLion website to book a free demo and to request a trial. SpotOn is a turnkey loyalty program for brick-and-mortar businesses that includes additional features like marketing solutions, an analytics dashboard, and online review access. SpotOn is a mobile app that customers can use to find your business, track rewards from multiple businesses, and search for deals. SpotOn is a good loyalty program for brick-and-mortar businesses that want to increase foot traffic from new customers. SpotOn software is $195/month, which includes their loyalty program, marketing solutions, and online reviews. SpotOn also offers a point-of-sale solution that is $35/month plus a 1.89 percent + $.15 transaction processing fee; it includes the software programs plus payment analytics, online booking and scheduling, and free payment hardware. SpotOn is a simple, digital punch-card loyalty program that allows businesses to reward customers for shopping at their store. Customers download the SpotOn app to track their points and to earn points when visiting a participating store. SpotOn is great for boosting foot traffic because shoppers who use SpotOn can see your store and available offers in their app, encouraging both new and existing customers to visit your store. SpotOn is easy for businesses and customers to use. Businesses scan each customer’s SpotOn app at checkout, and customers earn a “spot” on their rewards card for that business. Businesses can create multiple rewards options, such as a free small coffee with five spots or a free $10 gift card with 50 spots. 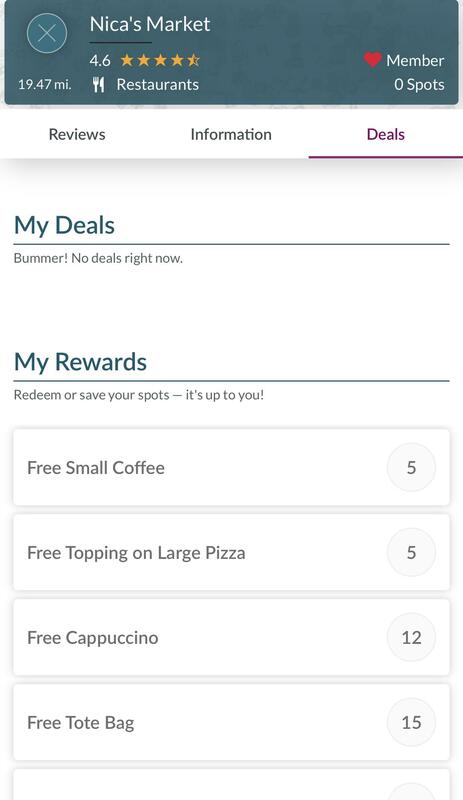 Customers can track their rewards and see different available offers right through the SpotOn app. Customers can access their rewards account anytime through the app. With SpotOn, businesses can also send out emails, mobile alerts, and time-sensitive offers. SpotOn software lets businesses see how many customers are taking advantage of different offers and earning spots with the SpotOn app. If you use the SpotOn point-of-sale system, your sales, loyalty, and marketing data are all connected for a clearer picture. However, businesses can use the software independently and still see loyalty and marketing reports. 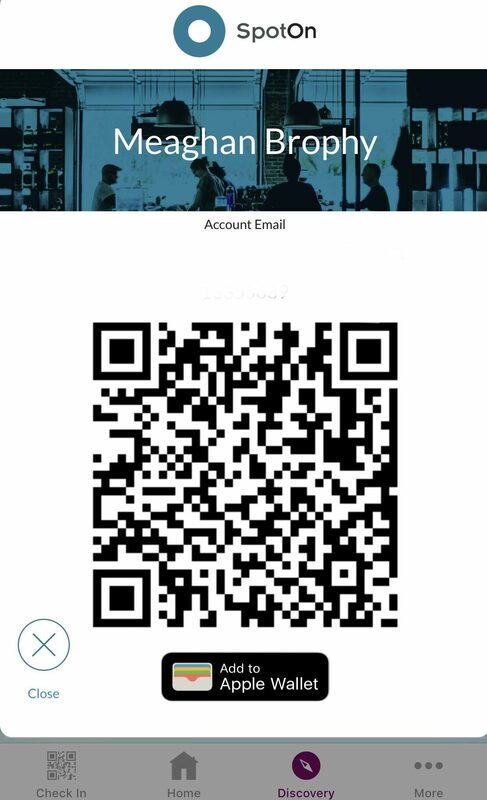 SpotOn Sample Business Profile and QR Code for In-Store Scanning. SpotOn is great for bringing in new customers who use the app. But SpotOn works best with customers who download and utilize the SpotOn app, which not every customer will want to do. SpotOn also does not let shoppers earn rewards for other non-purchase behaviors like referrals or reviews. In addition, SpotOn is designed for brick-and-mortar businesses. SpotOn online reviews are mixed. Overall, business owners say that the software does help with customer loyalty and retention. Negative reviews say there are some glitches in the software, and a few businesses report that the costs were higher than they expected. Visit our SpotOn Review Page to read more. SpotOn is a good option for brick-and-mortar businesses that want to increase foot traffic with an app-based loyalty program. Visit the SpotOn website to book a demo and to request a free trial. Loyalty programs are a good tool for businesses to retain current customers, attract new shoppers, and increase overall sales. Having a software program to digitize your loyalty program makes the process easier to manage for your business and easier for your customers to utilize. Our top choice for loyalty program software is Social Spiral because customers join and use the program by sending a text message. There is no need to create an account or download an app, making Social Spiral a more accessible option. Visit the Social Spiral website to learn more and book a free software demo. I would recommend using a white-label mobile app with a loyalty program and automated marketing campaigns from an integrated CRM. Like Balance Grille, mama Gaia, Hank & Herry’s do. The mobile app has a lot of modules including in-app ordering and pre-ordering, delivery, quality control, social media integration with viral referral programs, table reservation, etc. It’s not just a mere discount or bonus, it’s the whole communication strategy targeted at engaging customers and turning them into brand advocates which surely is a guarantee of a steady growing sales channel. All these guys mentioned have ordered app from loyaltyplant. You’re right about the brand value of custom programs and their reach into deep engagement. But unfortunately, these highly customized solutions can be very expensive. For small businesses and startups, the ones we cover above plus many more that are coming into the market are cost-effective, simple to initiate and manage, and easy to integrate into numerous POS and ecommerce systems. If you know of a low-budget white label app development group, please let us know about it and we’ll do some digging. Have you taken a look at the latest Loopy Loyalty application? Customers don’t need an application they simply add a digital stamp card to their (already installed) wallet applications (i.e. Apple Wallet and Android Pay). No Point of sale integration is required and the small business gets access to location services (triggered by GPS or Beacons), can access real time transaction data and the ability to send messages to their customers lock screen at any time. So the system works exclusively with Apple Wallet & Android Pay? The downside is these systems aren’t widely adopted yet. It may be a more feasible loyalty rewards system if/once mobile payments takes off. Thanks! We’ll check Loopy Loyalty out when we run our next update. Thanks for the input — app loyalty is definitely the future. What can you tell me about my POS system? What loyalty program I need to use to upgrade it? After a brief look, POS Ma does not appear to integrate with any loyalty programs. You can still use ShoutEm and SpotOn, however, even if they’re not connected to your POS. If you’re interested in upgrading your POS though, I recommend checking out our Best POS Software Buyer’s Guide. Hi Danny. Thanks for reading. Sign up for a free trial of CandyBar’s online loyalty program! CandyBar Loyalty Program - Free Trial!